The distinct, flat ‘tabletop’ summit of Mt. Mayapay has served as a landmark for Butuan City for more than a thousand years, dating back to the zenith of the Kingdom of Butuan, one of the earliest states that existed in the Philippines. 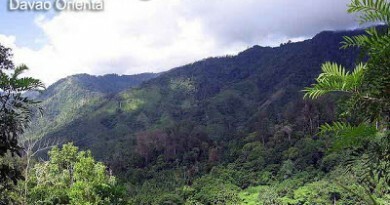 Though its height of 675 meters pales in comparison with other Mindanao mountains, its unique position – on a wide plain between the Sumagaya range to the west and Mt. 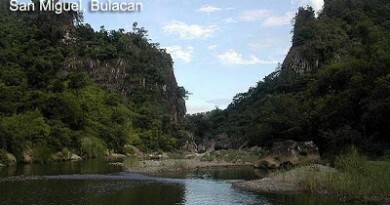 Hilong-Hilong and other Agusan mountains to the east – lend it a prominence and a strategic position from which one can view Agusan River empying into Butuan Bay through the city; and behind them, the mountains. 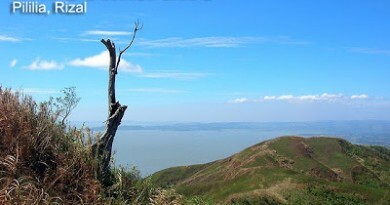 The mountain is not frequently climbed although it is well known among the hikers in the area. A major access point is Brgy. Bonbon, where there is a road that leads to a communications tower. 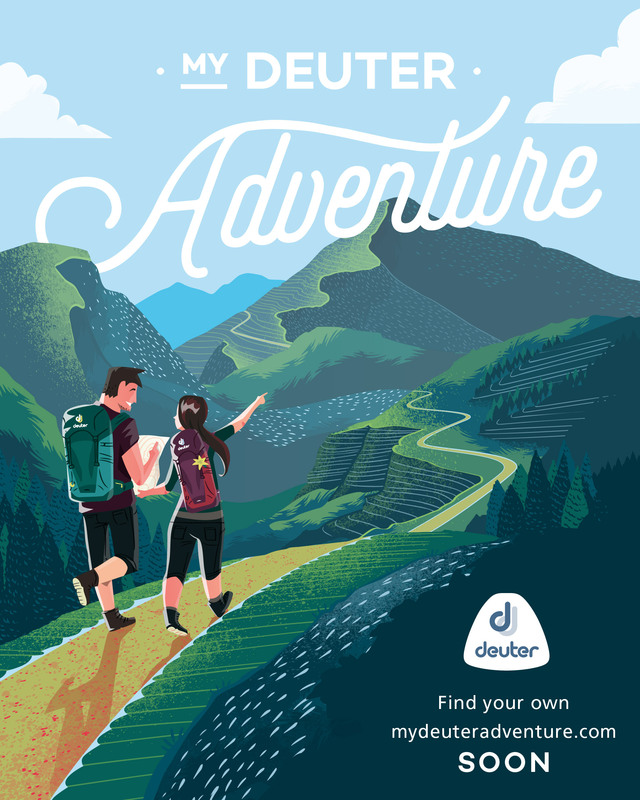 While the first part of the trek is a very gradual walk through an overgrown rough road; the second part is a steep and challenging ascent through eroded soil with no handholds save for clumps of grass and some shrubs. 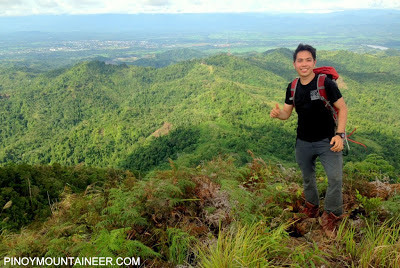 This difficulty notwithstanding, the hike offers a very rewarding view of Butuan City and the summit is scenic and the winds are refreshing. 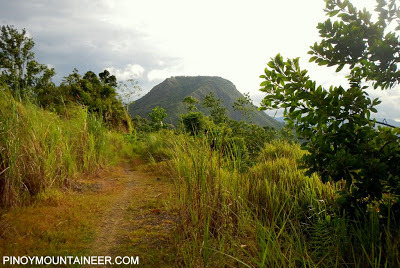 It is a recommended dayhike for hikers visiting Butuan and Agusan del Norte. 0900 ETA base of mountain. Rest. Getting there. Take a multicab that passes by Brgy. Bonbon junction (i.e. R-2); it is also possible to take a tricycle to the same area, where motorcycles are parked. 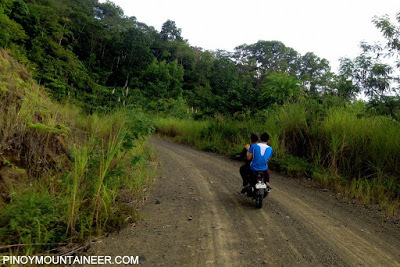 You can hire a motorcycle to take you to the trailhead for P100/way/ride (1 person per motorbike). You can also negotiate rates for a return trip. In our case, there were two of us and we paid P500 for two motorbikes that will bring us up and down — this include the waiting time at the trailhead. Registration and guides. There is no registration required; there are also no checkpoints or logbooks. You can just go in and climb the mountain. The trail is easy to follow and the second half is marked by ribbons. You can just ask around among the locals for a guide and give him a P300 for guiding. Hiking notes. Be careful in the final ascent because the soil is eroded and can further erode anytime you’re on the trail. Some of the shrubs have thorns so consider wearing light gloves or long-sleeved shirts to prevent abrasions or cuts. There are no water sources. Cellphone signal is present in most parts of the trail. The blogger’s hike of Mt. Mayapay is recounted in Hiking matters #362. 1 Comment on "Mt. 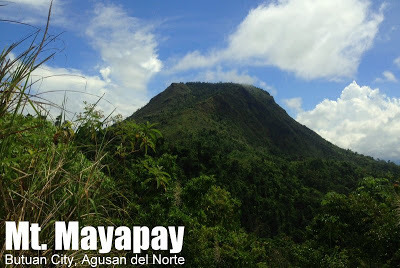 Mayapay (675+), Butuan City, Agusan del Norte"
Perfect for dayhikes, a beautifully shaped mountain.